National University honours 3rd Year students How are you. I think you are busy with your academic Workshop. 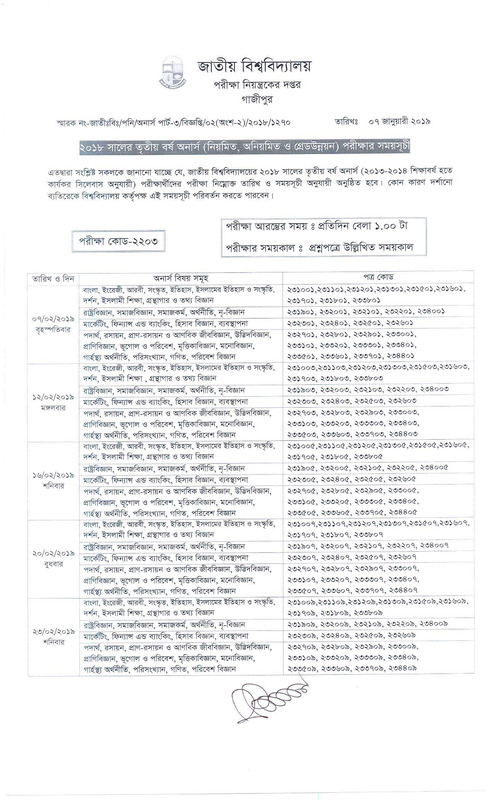 Today Bangladesh NU Full Meaning National University announce exam Routine for 2018 Honours 3rd Year Examinee according to 2013-2014 Academic Year Active Syllabus. If you are Nu Third year (regular, Irregular and Grade Improvement) Student. Then You can download 2018 Nu honours 3rd Year Exam Routine in 2019 from official Website nu.edu.bd or nu.ac.bd. You can also Check 3rd year Honours Exam timetable from Edujobbd.com. 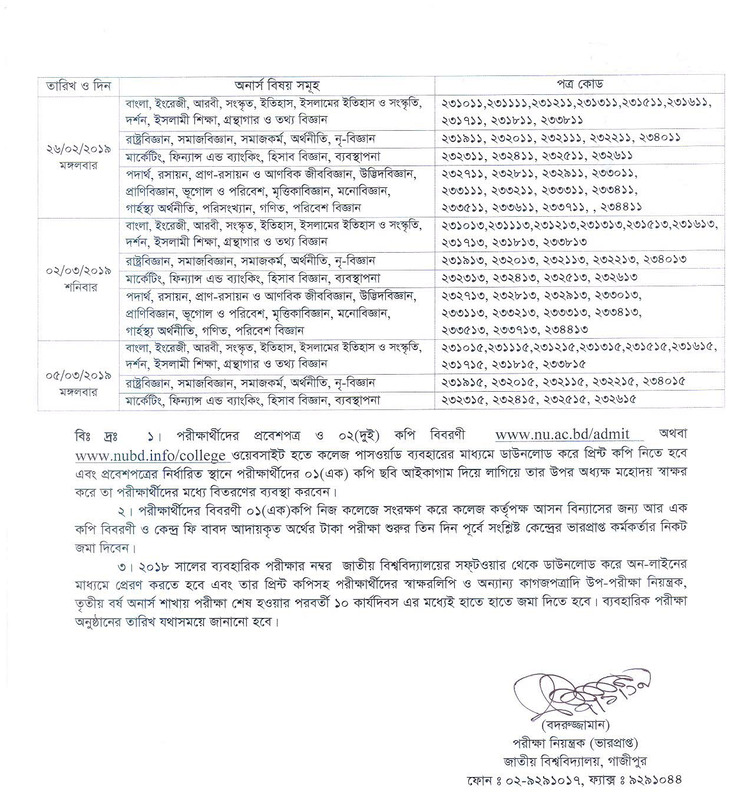 Gazipur Nu 3rd Year Examinee can get Exam Admit card and 2copy Statement can download from www.nu.ac.bd/admit or www.nubd.info/college using College code. After getting that, you must print it. Teachers will fit one copy Student photo On the Admit ‍card specific places. Ending the Work All Nu Exam Admit card will be Delivered By the College administration.